Organized by Jason Cantarella, University of Georgia, Tetsuo Deguchi, Ochanomizu University, Elizabeth Denne, Washington and Lee University, Alexander Grosberg, NYU, Clayton Shonkwiler, Colorado State University. Polymer physics has a number of deep unanswered questions about ring polymers such as DNA minicircles and polymers which form more general graphs or networks. These situations have been analyzed by traditional methods in statistical physics such as scaling arguments, but there is still much to do.A ring polymer can be modeled by a random walk with equal edge lengths which returns to its start point. This is an equilateral polygon in Euclidean 3-space with a fixed number of edges. Random polygons have proved rather challenging, both computationally and theoretically, due to a lack of mathematical understanding of how the closure constraint affects the probability distribution.Independently, the algebraic and symplectic geometry communities have, over the last twenty years, developed a deep and comprehensive theory of these spaces of polygons. Their key idea is an identification of moduli spaces of polygons with Grassmannian and Stiefel manifolds, and with other toric symplectic manifolds. This fundamentally geometric approach to studying random polygons has already lead to some significant advances, and provides a coherent theoretical and computational framework with the potential to revolutionize the field. 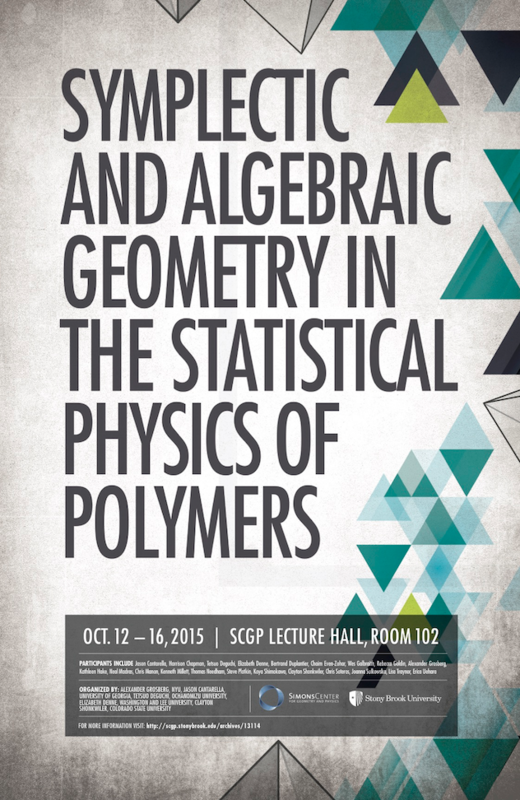 This workshop will bring together statistical physicists and geometers to explore these new tools for analyzing random polygons and to work on extensions to more general polymer networks. Workshop Application is now closed.